To some, it might seem like high school sweethearts are utopian myths of past generations - like 25 cent movies or affordable single-family homes. But still, every once in a while, teenagers look up from their iPhones for just long enough to lock eyes with their soulmates. This was the case for Beatriz Suzette Malagón; a Miami native turned Texan who found love when she returned to her hometown in 2010. After enrolling in high school, she attended a summer program notorious for sparking romances across the globe - band camp. As the result of a mid-day cafeteria McDonalds-fueled rabble, Beatriz found herself doused in water from a flying jug. The perpetrator? A jovial, yet apologetic musician who would become an instant friend and confidante. Later that year, when Alexis Gutiérrez asked Beatriz to be his official bus buddy, she warned him, "You won't be able to get rid of me now. I'll stick to you like gum stuck under a shoe." Alexis seemed okay with that arrangement as they continued to spend time together as friends and then "amiguitos" before making it Facebook official over a year later. Why the delay? Beatriz promised her mother not commit to a boyfriend until her 18th birthday. On that fateful day on February 14, 2012, in the style of the MTV teen reality show, "Promposal," Alexis asked his BFF to go steady via an epic flash mob production, starring close friends and band-mates from the marching band. This grandiose gesture would kick-start a seven-year rendezvous filled with Disney vacations, school dances, coming-of-age realizations, irreplaceable memories and through it all, a shared passion for music that would bind them together. For the marriage proposal, Alexis upgraded his flash mob formula with a full-scale concert at the couple's college, Florida State University. Starting with the perfect set list, Alexis commissioned his fraternity brothers, friends and an all-Sinfonian quartet to help serenade Beatriz with her favorite songs. From Bayside to Moulin Rouge, each musical selection represented a shared memory. Culminating in an acoustic version of Coldplay's "Amazing Day," Alexis performed his solo in the Opperman Music Hall corridor while the flash mob took their marks. While he strummed OneRepublic's "Something I Need," the flash mob sang their way up the steps of the amphitheater and across the alumni green to meet the couple at the university seal. Dropping down on one knee, this time, Alexis asked to make their relationship more than Facebook official and Beatriz agreed. 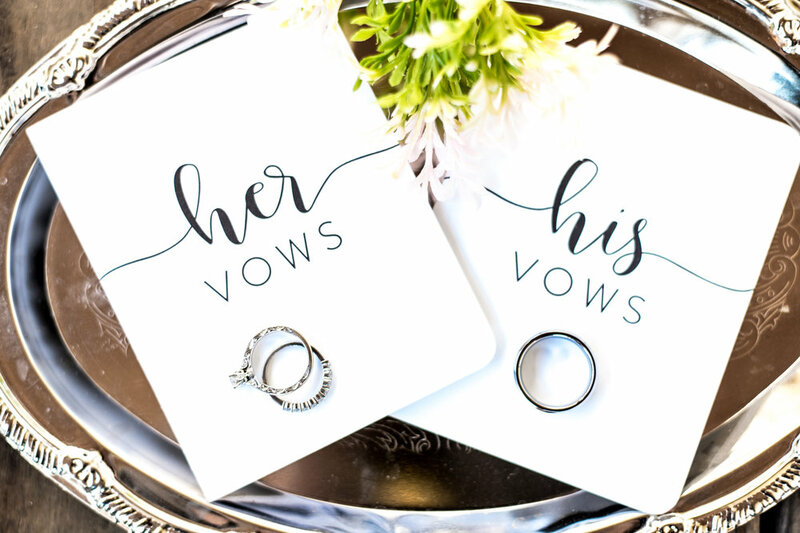 As elaborate as the proposal might have been, the wedding was light and airy. 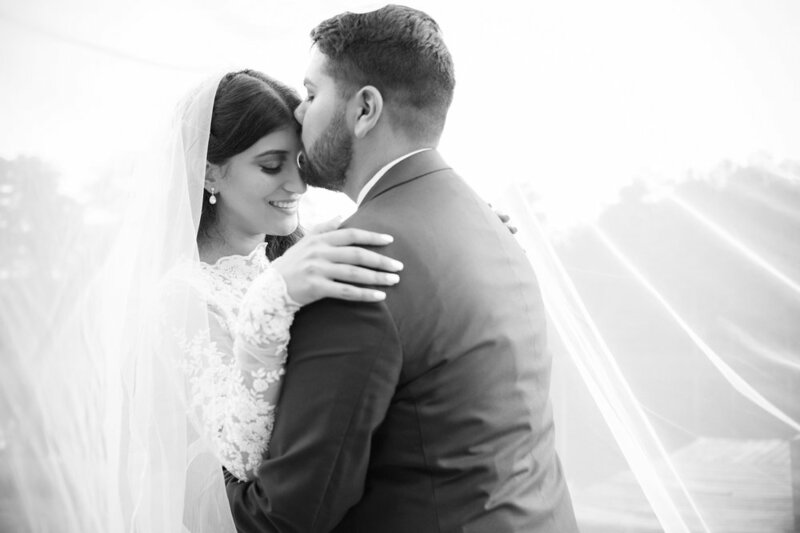 Choosing The Retreat at Bradley’s Pond to house the 120-person affair, the couple went for a rustic vibe with notes of rose gold, champagne, ivory, blush and navy. While they had a specific aesthetic in mind, their primary objective was to make everyone feel included in the celebration. Integrating relatives into every detail of the planning process, the couple hired their kin as wedding vendors from the wedding planner to the day of coordinators. The groom also leveraged his family's event planning business to supply hydrangeas, pink roses, baby's breath, vintage furniture and other décor pieces. 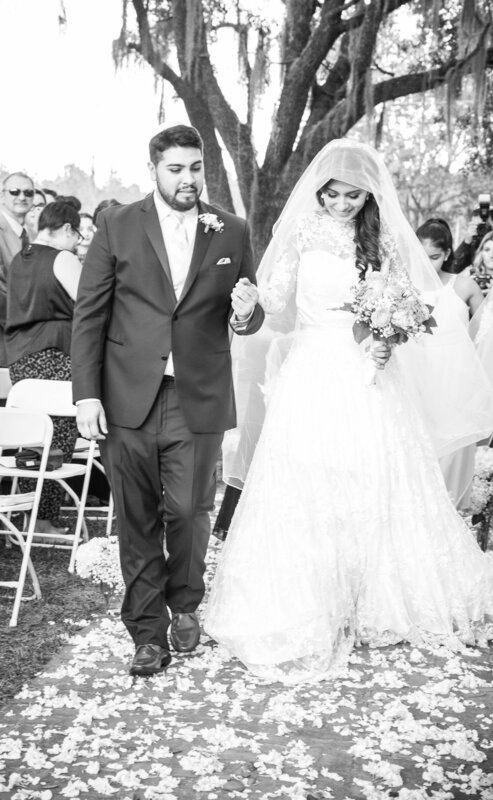 The bride enlisted a family friend, Mary-Jane William Aguilar, to design a custom form-fitting gown in lace and tulle. The long-sleeved stunner was embellished with a white belt and heavy beading and paired with a hand-made Cathedral-style veil, rose-gold earrings and a tiara, all gifted (or created by) close family members. Beatriz adds, "It was a humbling reminder that I am the woman standing here today because of the women and individuals who have come into my life and left me with a lesson, a memory or a piece of them and their love." 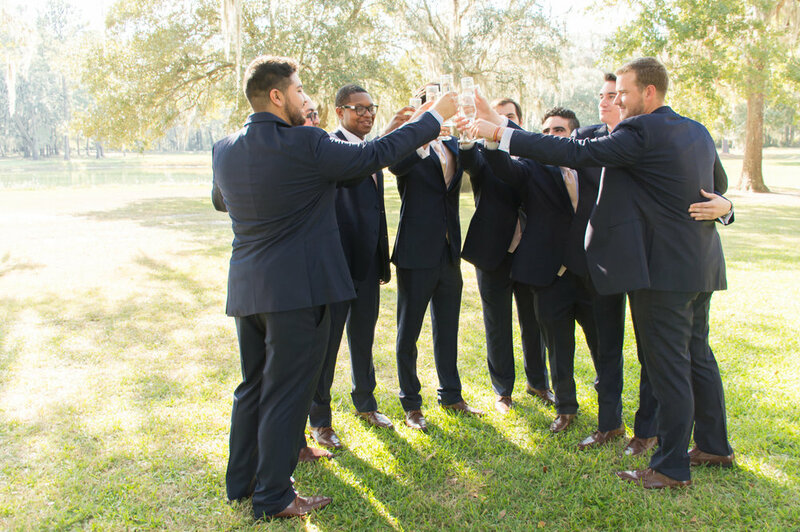 The groom sported a classic "lewk" with a navy suit, brown accessories, white dress shirt and champagne vest and tie. 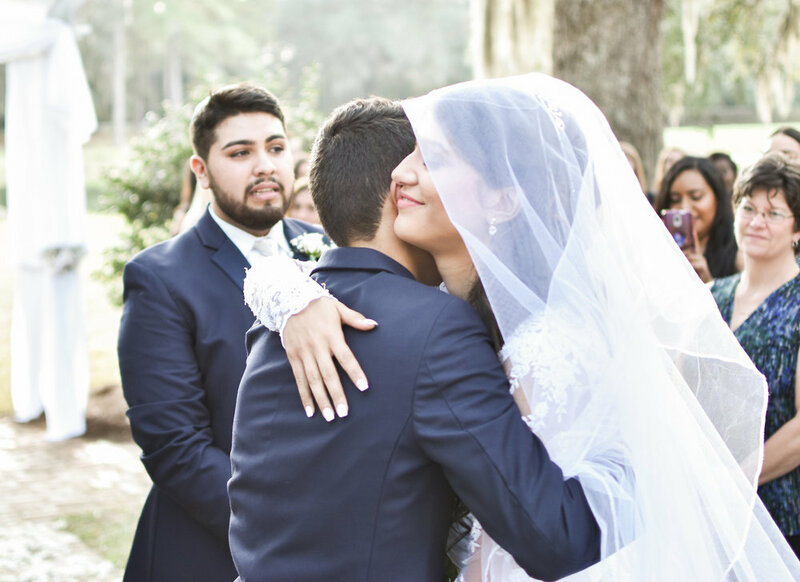 The couple wrote and recited their own vows, encapsulating anecdotes from high school, college, and adulthood, however it was the music that fittingly served as the centerpiece of the day. Alexis' former a cappella group, along with his groomsmen belted out “Can’t Help Falling in Love with You” as Beatriz walked down the aisle, while a live DJ provided other rhythmic expressions such as top 40s, popular party selections, hip-hop, SIA stroll songs, bachata, reggaeton, salsa, merengue and a traditional hora and chair dance. The duo called on their favorite Cuban restaurant, Habana’s Boardwalk, to cater the reception dinner, serving vaca frita with grilled chicken, white rice with black beans, sweet plantains, yucca and a salad. Transforming a full section of the reception hall to an ornate dessert station, guests indulged in coconut treats, macaroons, cake pops, cookies, mini cupcakes and a three-tiered multi-flavor wedding cake adorned with a cake topper depicting the pair's two cats, Nugget and George. From the music to the food to the decorations, Beatriz and Alexis infused their love in every detail of their wedding day. While they admit they found the process stressful, they appreciate the support they received from vendors, family and friends. "It took a village to plan and execute our special day, and we couldn’t have done it without everyone involved," they explain. However, it was the comfort they offered each other that kept them alert and grounded throughout the experience. They say, "We just allowed each other to be vulnerable and honest on how we were coping with the process. Some tears were shed, but there was always a reassuring warmth in validating each other’s experiences while in a comforting embrace. These were our moments of security amidst chaos." It's this togetherness that defines them as a couple and why they are part of the lucky few to successfully traverse the journey from band-mates to bus buddies to "amiguitos" to "Facebook official" to ultimately husband and wife.